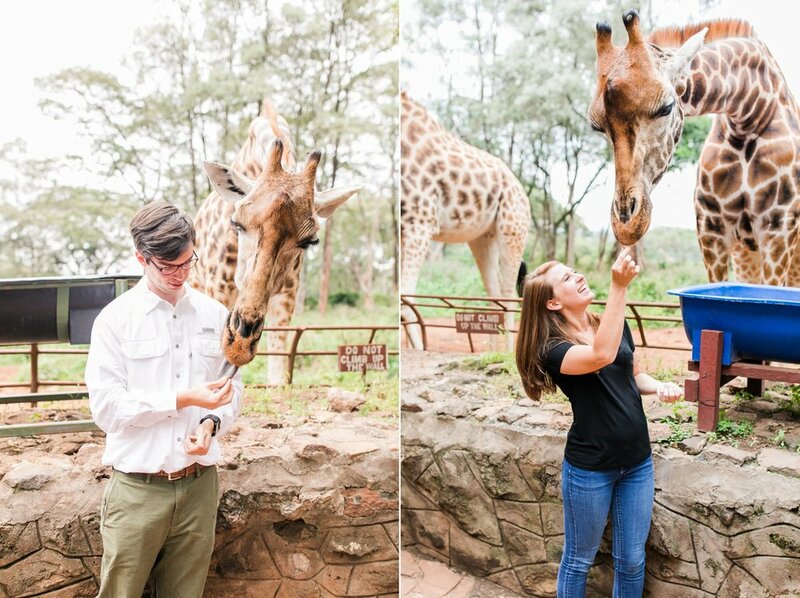 When Aaron asked what I wanted to do for my birthday a few weeks back, I didn't even hesitate before saying that I wanted to go hang out with the giraffes! 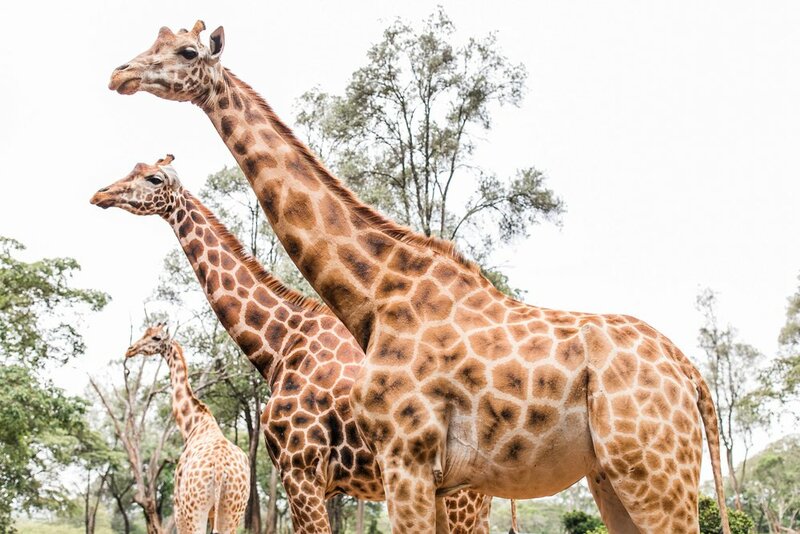 Nairobi is home to The Giraffe Center, a sanctuary right in the heart of the city that is home to a herd of the endangered Rothschild Giraffe! 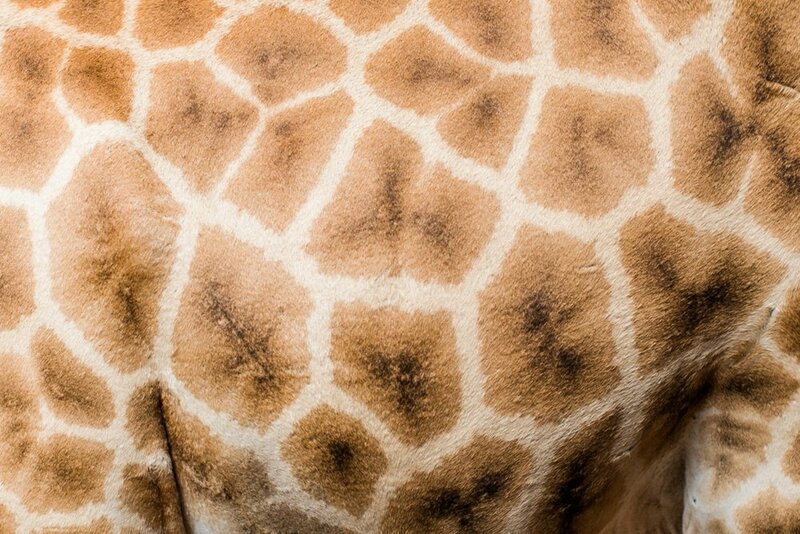 Majestic and graceful, giraffes have been my favorite animal as far back as I can remember. 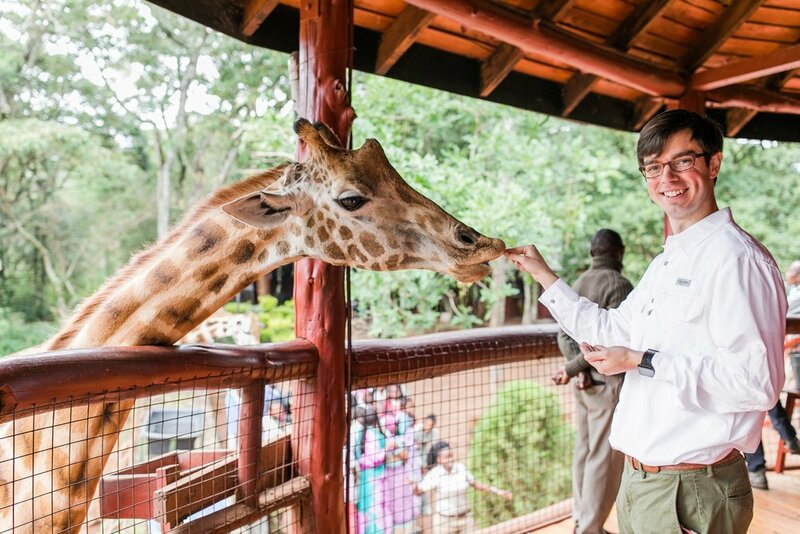 I think it's safe to say that I felt like a kid on Christmas morning during our visit.